This time last year, the city of Chicago was getting ready to head out in an 80 degree day in hockey jerseys to cheer on the Blackhawks brought the Stanley Cup to Chicago. With ticker tape falling from the skyscrapers, the crowds cheered on as the busses drove by carrying the players by. 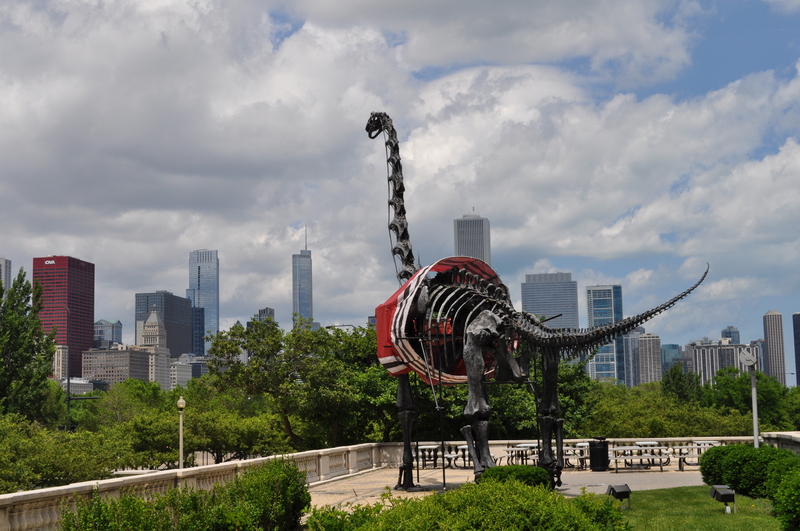 Here are a couple photos taken from the Field Museum of the brontosaurus right outside sporting a hawks jersey and overlooking the city. 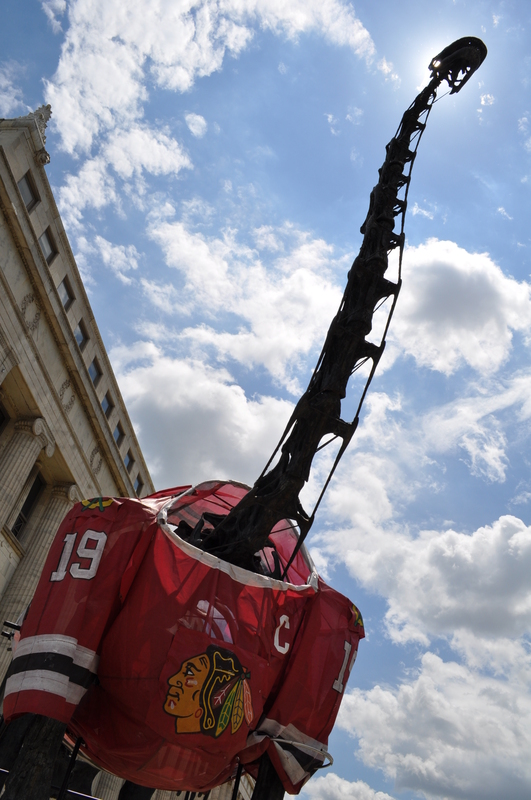 This entry was posted in Blackhawks, Chicago, Life, Museums, Skyline, Sports. Bookmark the permalink.